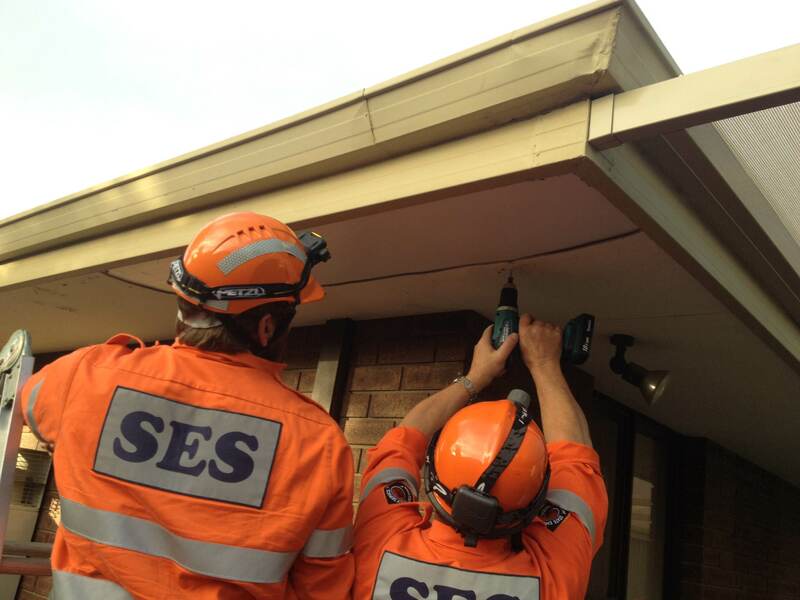 (Left) Michael Osenbaugh and (Right) Steve Saat at a call out after the recent storm . Wednesday the 7th of May saw the first big storm of the year descend on the City of Cockburn. Perth experienced heavy rains and windy conditions causing damage to houses across the city. Cockburn State Emergency Service was ready to help, sending fourteen rescue personnel to respond to nineteen calls over a twenty four hour period. The calls for help included a collapsed roof, a collapsed patio and mostly flooding to houses. We can expect to see more storms as the season progresses. It is important to prepare and continue to check your home throughout storm season which occurs May to October. This includes safely clearing your gutters, removing loose branches and getting contractors to help with branches near powerlines and any other tasks you may need help with. Before storms it is important to secure loose items such as children’s play equipment which can become projectile during storms and cause further damage. Remember to keep the family pets in a safe area during storms too. It is recommended that each home has an emergency plan and an emergency kit. It is important to prepare for the unexpected.